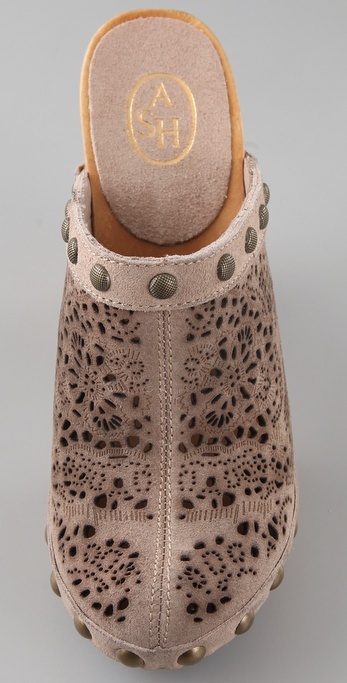 Today's So Shoe Me is the Spicy Cutout High Heel Clogs by Ash, $210, available at ShopBop. These clogs are a great transitional piece to go from the end of winter into the warmer spring months. The classic clog shape with wood heel and laser cutout suede make this shoe the perfect pick for adding some vintage charm into your closet. Have a chic 70s moment in these clogs when paired with some high-waist bell bottom jeans in a medium wash and a tucked-in bright hued button down. So Shoe Me a pair of retro clogs that will give me casual comfort and on-trend style as I step through the transitioning seasons.